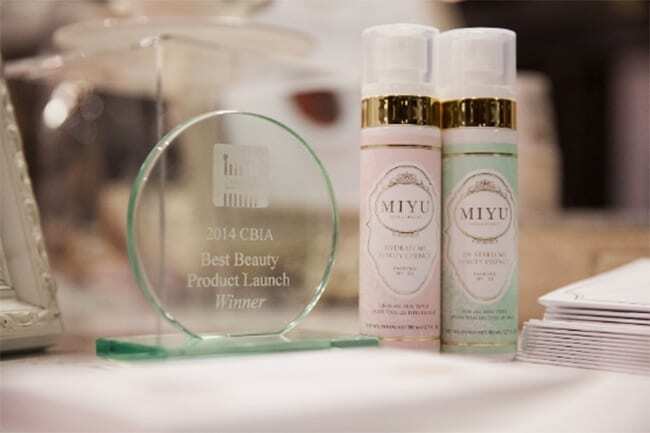 MIYU is a revolutionary line of skincare and teas, designed to work hand in hand in making women’s lives easier, from the inside out. In today’s fast paced world, UV rays and pollution take their toll on our skin. Healthier skincare and dietary choices can begin with MIYU products, which use as many natural ingredients as possible, without compromising on efficacy. They are also free of parabens, sulphates, phthalates, synthetic dyes & synthetic fragrances, in an effort to prevent irritating the skin in any way. Green tea, pearl, and white peony are their three signature ingredients, drawn from the ancient Chinese teachings of beauty. Hydrate mi beauty essence, a revolutionary part-serum, part-facial mist hybrid that can prime the skin for moisturizer, act as a base for makeup and provide an instant surge of hydration any time of day. It is formulated with wild pansies, which are proven to boost hydration by 20% in 28 days. Hydrate mi beauty tea, an antioxidant-loaded blend of green rooibos, goji berries, rose petals and sweet notes of snow pear for delicious, caffeine-free hydration.